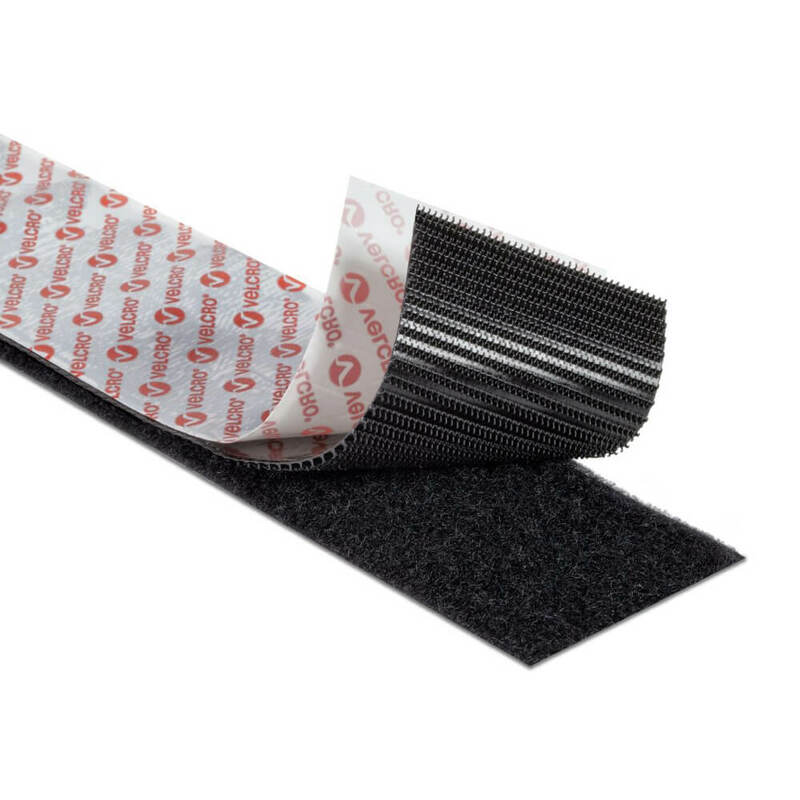 When extra strength is required VELCRO® brand Heavy Duty tape provides just that. Incorporating a 50% stronger closure by using a hook system that is formed to face both ways, instead of the conventional tape having hook sides facing only one direction. The high tack adhesive has been double coated boasting some serious strength it's also water-resistant and so able to cope with your most demanding projects. 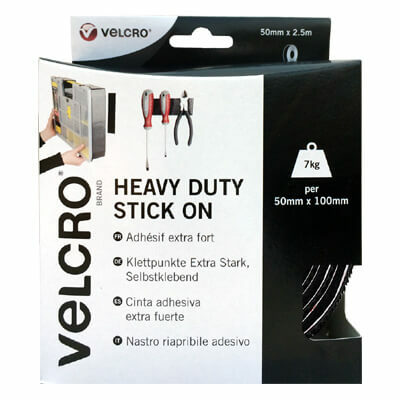 Heavy Duty can be used almost anywhere indoors and can also be used outdoors provided it is not under direct exposure to the weather. 50mm wide and 2.5m long of each hook and loop side.